- 17.11.2015 APACHE General Cargo 4988 1600 — MALTA APACHE SHIPPING LTD. M.C.A. 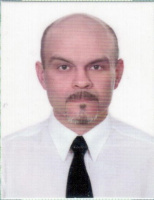 My total on shore experience is an electrician of 17 years, at the metallurgical plant "Azovstal". I graduated from Priazovsky State Technical University in 1998. Received a diploma in electrical engineering.